The new Apple Pencil for iPad Pro packs a great deal of advanced technology into a tiny package, including a logic board that's actually folded in half to fit inside the writing tool. 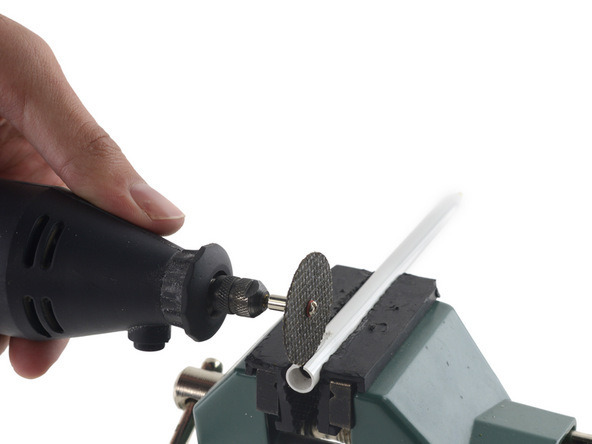 In dissecting the new Apple Pencil, iFixit discovered what it called the smallest logic board the solutions provider has ever seen. The Pencil's logic board weighs in at just 1 gram, and features an ARM-based CPU, Bluetooth Smart radio, and more. 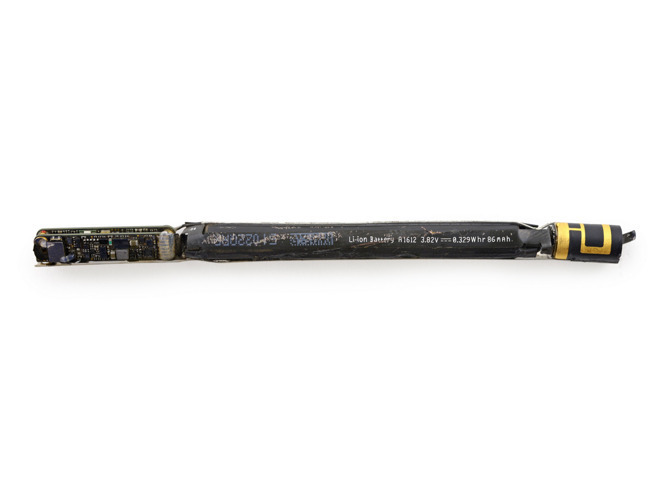 Accessing the innards of the Apple Pencil wasn't easy —the repair experts were forced to cut the device's plastic casing into two parts, after they couldn't find an obvious point of entry to its internal components. The plastic shell also houses a tube-shaped lithium-ion battery, rated at 3.82 volts and 0.329Wh. That's just 5 percent the charge of an iPhone 6s, though the Apple Pencil is rated for 12 hours of battery life, while 15 seconds of charging provides 30 minutes of uptime. 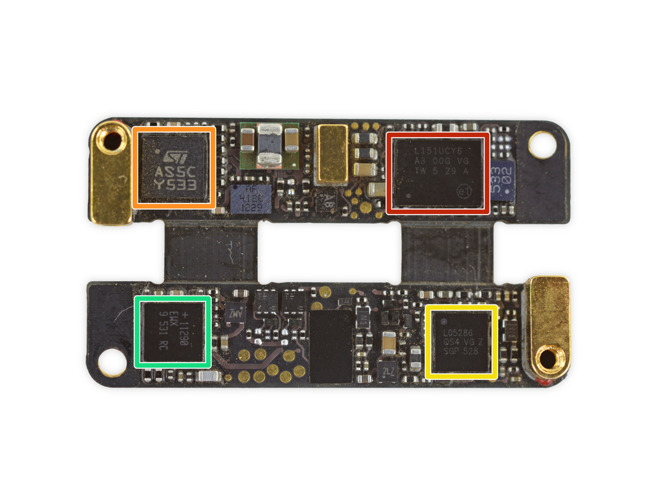 Apple Pencil logic board and battery, via iFixit. iFixit also found that the Pencil's pressure sensor features a tiny board with a series of moving ticks, which are believed to help sense pressure when users press the stylus tip down onto the iPad Pro. The Pencil nib also has a tiny bit of metal that's suspected to aid in determining angle and orientation. In what has seemingly become par for the course in Apple product teardowns, iFixit has given the Pencil a "repairability score" of 1 out of 10. Though the nib and cap can be replaced if lost, the rest of the device is not meant to be repaired, and the Pencil will be thrown away or recycled if and when its integrated battery can no longer hold a charge. Apple Pencil logic board unfolded, via iFixit. Analyst Ming-Chi Kuo of KGI Securities indicated earlier this week that production of the Apple Pencil is extremely complicated, and assembly is not going as smoothly as Apple and its manufacturing partners had hoped. Kuo expects Pencil yields to improve as producers overcome inefficiencies associated with building a new format device. Current ship times for the Apple Pencil are shipped at four to five weeks. The current shipping window of Dec. 23 through 30 suggests that new orders may not arrive until after Christmas Day.